Britain's best companies to work for, the sharing economy buzzword, Jaguar's global expansion plans. 1. 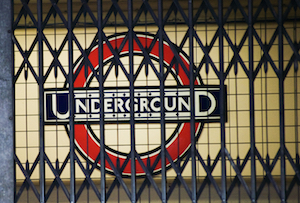 London Underground is one of the best companies to work for in the UK – can someone let the strikers know? 2. Mining giant Glencore has carved out an ambitious debt reduction target. 3. Maternity leave wasn’t a hassle for tech entrepreneur Alex Depledge. 4. Two new railway franchises have been awarded to help boost the Northern Powerhouse. 5. China’s slowdown is taking its toll on the UK’s manufacturing sector. 6. Apparently humans can get too attached to robots – so we need to treat them with caution. 7. Ocado’s struggling to deliver an international deal to convince investors. 8. The BlaBlaCar co-founder wants us to get a bit more selective about what comes under the sharing economy umbrella (Uber’s not invited). 9. Twitter's new experiment is unlikely to leave Jack Dorsey feeling chirpy. 10. Jaguar Land Rover is investing £1bn in a new factory in, well, Slovakia.